Catalyst Team Building is operated in Israel under exclusive licence by Challenge Group, Israel's premier team building company. Challenge Group is a comprehensive Israeli team building and training company. 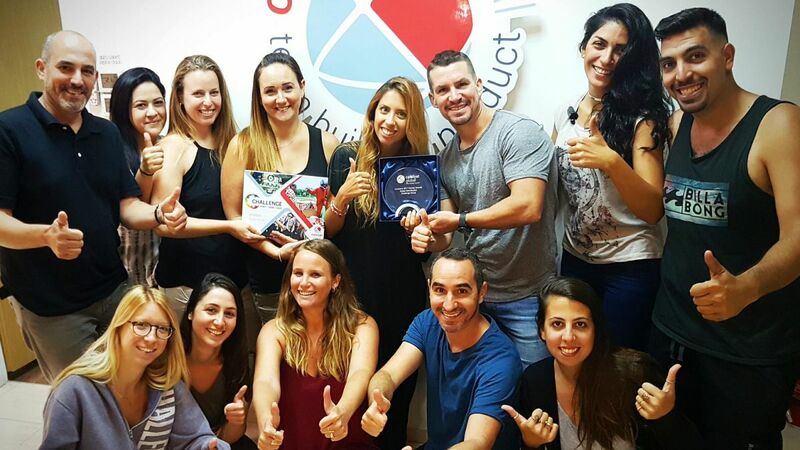 With Head Office in Tel-Aviv, we deliver fun, motivating team building activities all over Israel. We are proud on creating top-notch experiences and welcome the opportunity to invite people to go crazy and have fun! Our professional and devoted staff through a love of the outdoors and passion for surfing, skiing, riding, paddling and a myriad of other adventures are experts at creating fun and extraordinary outdoor days through innovation, creativity while laughing and having fun all the way! Our Why? – we are enthusiastic to get people to do more! More for themselves, the environment and the community in which they live. We see the partnership with Catalyst Global, as an exciting opportunity to expose Israel to the most innovative and proven team building programs and activities available in the world. Already Catalyst products are bringing a new dimension to team building in Israel and are committed to upholding their high standards of tailoring and delivering events that meet the needs of our clients to bring about lasting results. Just like the Catalyst Global team, we love challenges, we are team players and we love to laugh & have fun!